At DJ Foreign Auto Care in Minneapolis, MN we repair both domestic and foreign vehicles with the same level of exceptional service you can depend on. Using quality parts and the latest in diagnostic tools and equipment, our trained technicians have the knowledge and experience to service your car, truck, SUV or fleet vehicles, including Sprinter Vans. Serving Minneapolis and the surrounding Twin Cities Metro since 2008, DJ Foreign Auto Care can service all makes and models including domestic brands such as, Chevrolet, Dodge, Chrysler, and Ford in addition to imports. DJ Foreign Auto Care is family owned and operated and we are committed to providing personalized customer attention and exceptional service. Our professional staff will diagnose your vehicle’s problem, help you to prioritize any recommended service and repairs, and explain everything in terms you can understand. While your vehicle is being serviced we will perform a complimentary multi-point inspection and give you a copy of the digital inspection including photos. Take advantage of our comfortable waiting room with free Wi-Fi and free Keurig coffee or let us give you a free shuttle ride back to home or work. Your vehicle will be washed by hand (weather permitting) before we return it to you. If you own a Ford, Chevrolet, Dodge, Chrysler or other domestic vehicle, you can count on DJ Foreign Auto Care to keep your car or truck in good condition! We provide personalized customer service, reasonable pricing and stand behind our work with a 3 year/36,000 mile nationwide warranty on parts and labor. 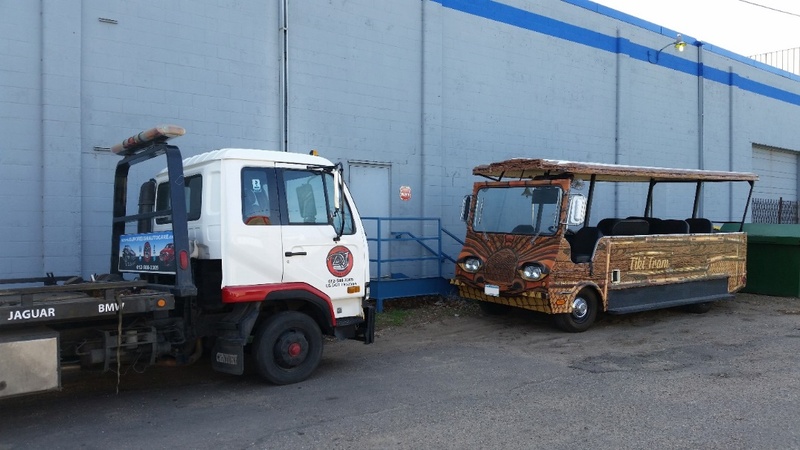 At DJ Foreign Auto Care, we can work on all makes and models and have taken on the challenge of repairing some more unusual vehicles such as Psycho Suzi’s Tiki Tram for our neighbors in NE Minneapolis. For all of your domestic and foreign vehicle needs, bring your vehicle to the professionals at DJ Foreign Auto Care. We look forward to doing business with you!